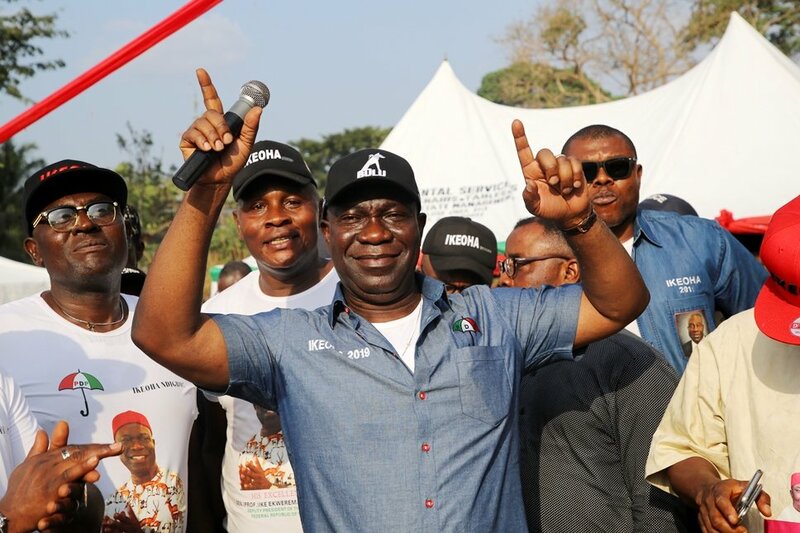 The Deputy President of the Senate, Senator Ike Ekweremadu, of the Peoples Democratic Party (PDP) was at about 12:01am on Monday declared winner of the Enugu West Senatorial seat in a landslide victory, making it the fifth time the legislator would be elected into the National Assembly. Reacting to his victory, Ekweremadu expressed gratitude to his constituents for reelecting him into the Senate for a fifth time, noting that it was a record of its own in the eastern part of the country. “I am not taking this election for granted, especially by the unprecedented nature of my election. This is the first time within this part of Nigeria that someone would be elected consecutively for five times into the Senate of the Federal Republic of Nigeria. It has never happened and I am not taking it for granted. I indeed feel very humbled and I give all the glory and thanks to the Almighty God who has made it possible,” he stated. “I must also thank my friends and associates, the great people of Enugu West – very industrious people, highly civilized people, highly accomplished people, very educated people – who, in spite of the fact that I am just a little boy from Mpu, have given me this unprecedented opportunity. “We have had challenges in different parts of the country, but we thank God that Enugu State is different because the governor has built a peaceful atmosphere over the past three and half years and this has manifested in the peaceful conduct of the elections. I am not sure we witnessed any casualty in any part of Enugu State. This exactly what we looked to, what we prayed for, what we expected and this is what democracy should look like. I believe that other states should come to Enugu State and learn how to conduct themselves in elections,” he added. Congrats to him but that is expected. It is his stronghold since 2003. That is an achievement. Just do the right things in the Senate, so that we can move our country forward. Thank God for your life.